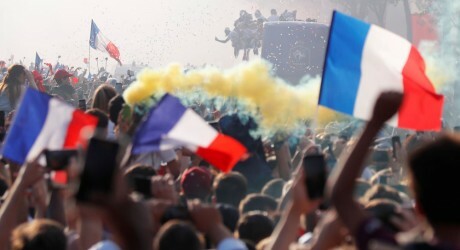 French football team won the FIFA World Cup 2018 being played in Moscow and now the winner French team reached to the homeland, where it was warmly welcomed. 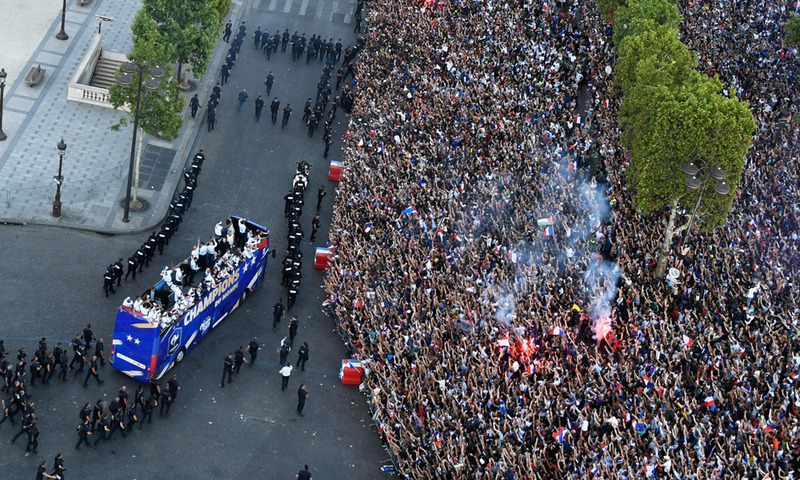 Huge number of people was present on the streets and they presented the tribute to the team by doing the parade and the air show was also managed. During the air show, the planes scattered the colors of the flag in the air and people felt proud with the thunderous voices of their airplanes. 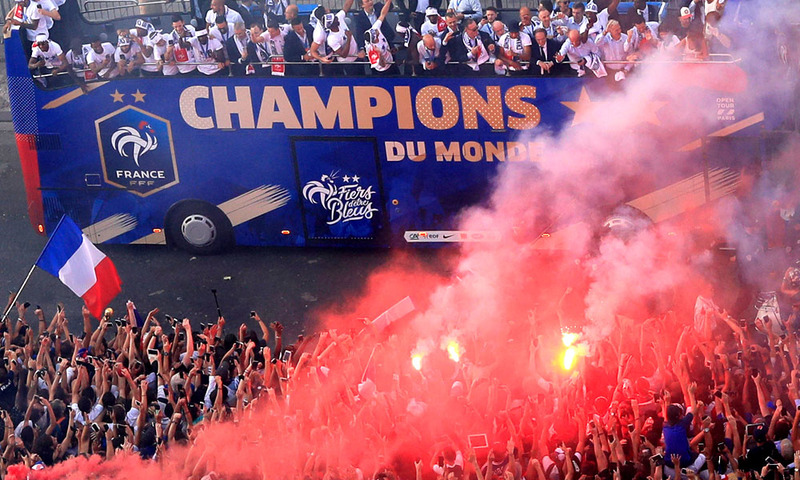 The fans came out of their homes and they stood along the road in a queue and they welcomed their team warmly. The team was taken to the presidential palace where about 3,000 people were invited and they were given the welcoming ceremony. 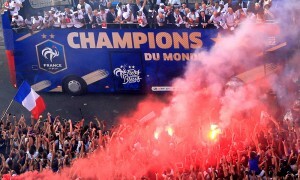 Then the players rode on the bus and they visited the city. 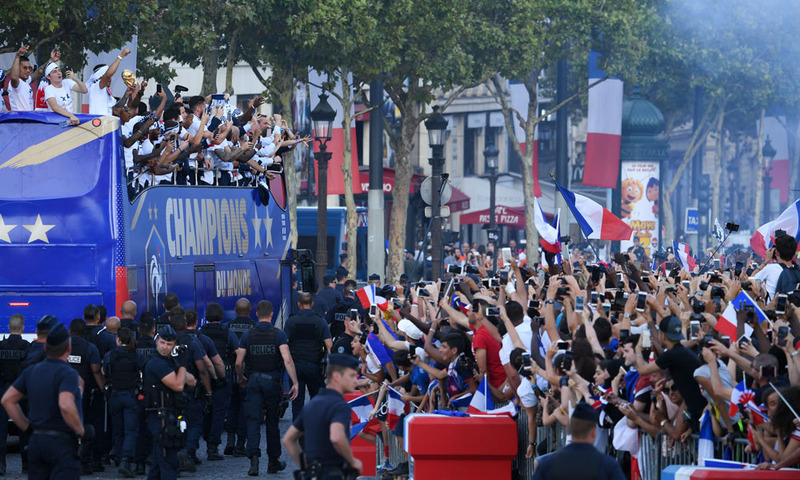 When the airplane reached at the Paris airport, coach and captain of the football team came out of the plane and they showed the trophy. People congratulated them and they also welcomed the national team to come to the homeland after winning the mega event of football in Russia. Paris Transport Company decided to change names of some stations in the city and they would be set in the names of the players, in which, captain, goalkeeper and other players are included. When the Croatian team reached to their homeland, their countrymen welcomed them warmly and they congratulated them to reach to the final of the mega event. Croatian team beat many big names in this football world cup and they reached to the final after doing some upsets and played the final match against France. Despite of their defeat in the final of FIFA World Cup 2018, the Croatian players were welcomed like a hero for the nation.